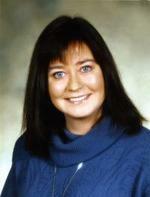 Patricia Mary Ann Taylor Menich passed away peacefully on Saturday September 9, 2006 at the age of 50. Loving wife of 10 years to Dr. Stephen R. Menich. Beloved daughter of Betty and the late Edward Taylor of London. Sister of Kathleen and Peter Steele and Aunt of Taylor Steele, all of Nova Scotia. Cherished daughter-in-law of Stephen J. and Eve Menich of Waterloo, and sister-in-law to Richard Menich and Toni Vella of Toronto. Dear friend of Lynn and Steven Lubczuk. She will be fondly remembered by her many Aunts, Uncles, cousins and friends. Pat retired from CKCO-TV and was an Alumnus of Wilfred Laurier University. She also was a member of St. Michael’s RC Church. The family will receive relatives and friends on Tuesday from 2-4 and 7-9 PM at the Henry Walser Funeral Home, 507 Frederick St., Kitchener, 519-749-8467. Prayers will be offered in the Funeral Home Chapel on Wednesday September 13, 2006 at 10:30 AM then transfer will be made to St. Michael’s RC Church, 240 Hemlock St. Waterloo for Pat’s Funeral Mass at 11 AM. Cremation will follow. As expressions of sympathy, donations to the Grand River Hospital Foundation would be appreciated.